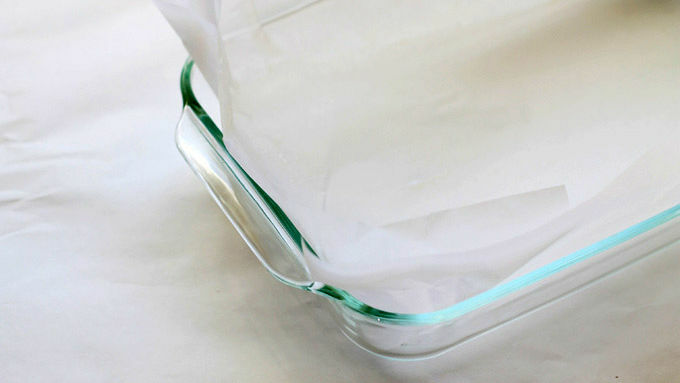 Line a 13x9x 2-inch baking dish with parchment paper. Spray lightly with cooking spray and set aside. Place chocolate chips in a microwave-safe bowl. Microwave at 70 percent power for 90 seconds. Stir and continue to microwave at 30-second intervals until fully melted. While chocolate is in microwave, pour confectioner’s sugar in a large bowl. 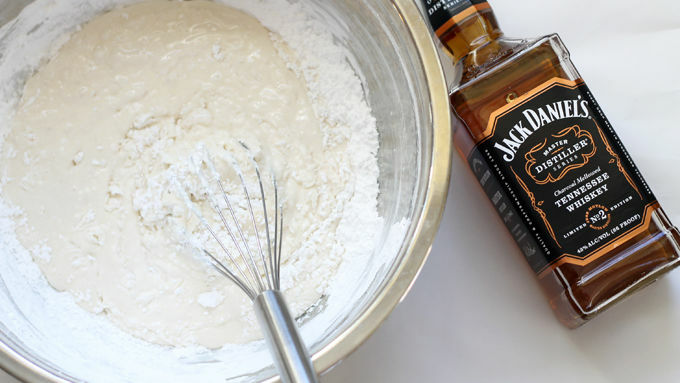 Pour a cup of Jack Daniel’s™ whiskey over sugar and whisk mixture well. When chocolate is melted, scrape chocolate over sugar and whiskey mixture. Working quickly, stir really, really well until all ingredients are blended. Then pour the mixture into the prepared baking dish. Spread the mixture evenly. 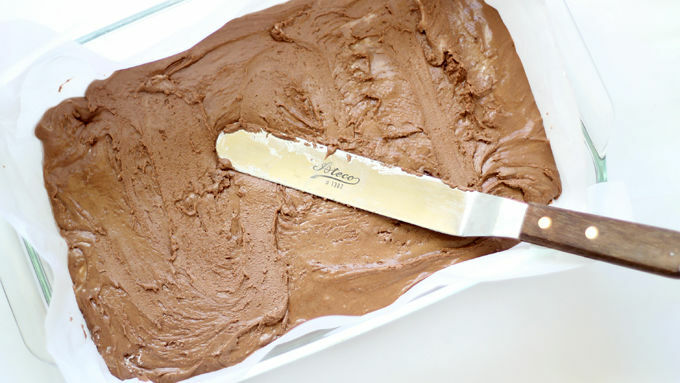 Let the fudge set just until firm, about 30 minutes. 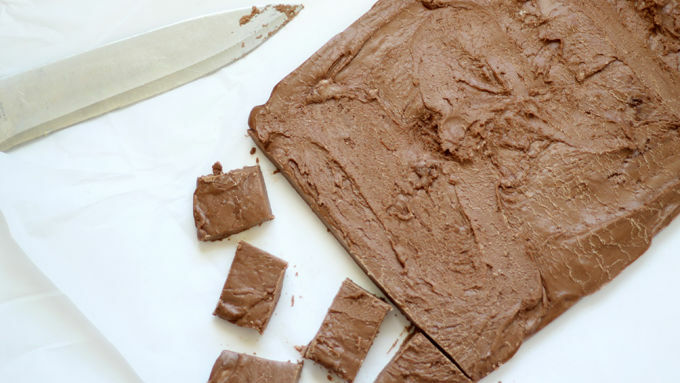 Lift fudge out of dish and cut into squares. Let fudge further set at room temperature for 60 minutes. 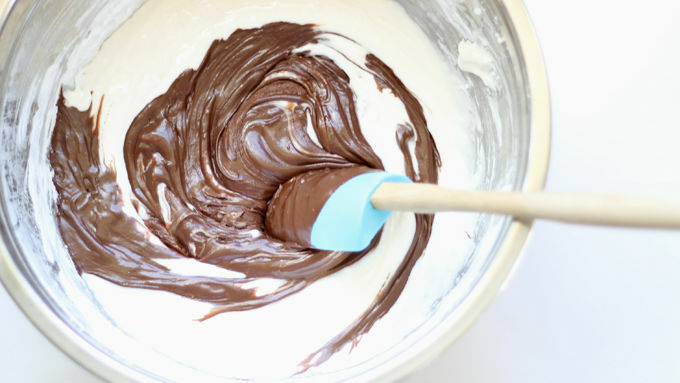 To help spread the mixture, grease an offset spatula with vegetable shortening or butter. You can find confectioner’s sugar at the supermarket in either one large bag or two smaller boxes. There are those that truly appreciate the fine thing that is whiskey. Those that appreciate the history, the tradition, the craftsmanship that goes into each sip. I am not one of them. I want to be one of them. I truly appreciate a beautifully-made, complicated liquor. And whiskey is the drink of authors and presidents and actors and artists. But whiskey is one I don’t touch because of that time in college. Seriously. That’s why. 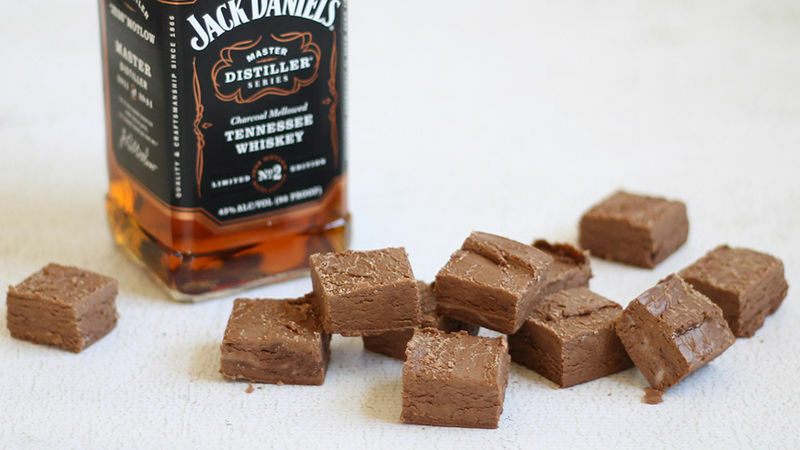 To re-introduce myself to an entire world (I think it’s fair to say that whiskey is an entire world), this Copycat Jack Daniel’s™ fudge does the trick. It is the true taste and flavor of whiskey delivered by sweet, chocolate fudge—also known as the perfect combination of drink and dessert. I would be remiss if I didn’t warn you that this fudge is strong. It’s not so much fudge with a hint of whiskey, but a shot of whiskey with a hint of fudge! And without heat, the alcohol is not burned off. Ergo, please make sure anyone who tries a bite knows what is in it. And while I did consider how well my kids might sleep from this treat, I kept this fudge well outside their reach. Not my reach, though.